TFM officially turns 8 years old today! Thank YOU dear theater fans for joining us in witnessing the best that Philippine theater has to offer. From sold-out OPM musicals, to top-notch re-stagings and adaptations, to riveting Filipino plays, we’ve experienced them all together. 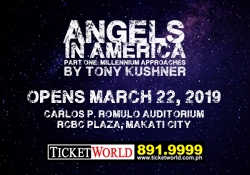 To celebrate our 8th year, we’re giving away A PAIR OF TICKETS to upcoming musicals! For the next eight days, we’ll be releasing a new contest daily at 12:30 pm and will close the submissions at 10 am the next day. You only have a short window of time to join the contest, but that also means that for the next 8 days, you also have daily chances of winning tickets to different shows! Make sure to check in with us here, as well as to follow us on all our social media accounts so you don’t miss any of our announcements! Winners will also be announced immediately before the next contest starts. Break a leg! Post a short Instagram story of you singing your favorite Eraserheads song. 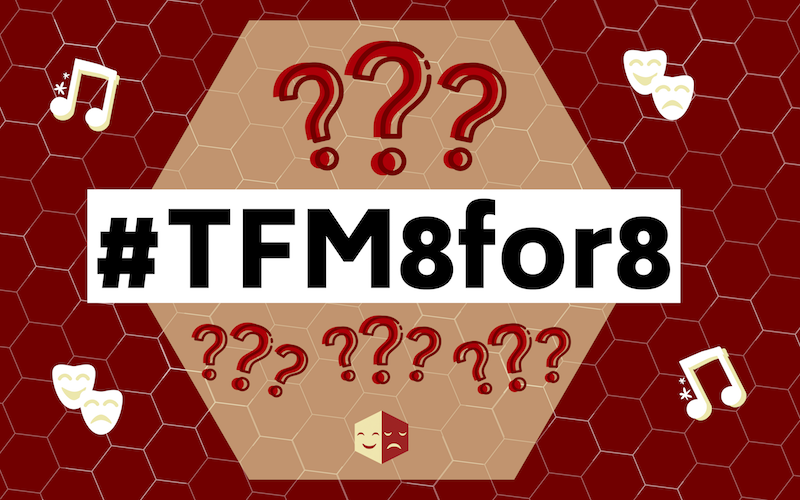 Make sure to tag us (@theaterfansmnl) on your post as well as the #TFM8for8 hashtag. That’s it! Be sure to post your story by 10am tomorrow. Make sure your profile / story is public so we’ll be able to see your entry. If you’ve won, we’ll send you a DM as well as update this post with the winner. Answer this by leaving a comment on the Instagram contest post: Which song from the musical are you most excited to hear and why? Tag the friend or family member you want to bring with you if you win. Make sure you and the person you tagged are following us on Instagram (and have liked the post!). Make sure you’ve sent in your comment before 10:00 AM tomorrow. We’ll be contacting the winner via Instagram DM, so keep your eyes peeled! We’ll also update this post with the winner when the giveaway ends. So many Stephen Sondheim musicals are being staged this year and you can win a pair of tickets to win some of them! 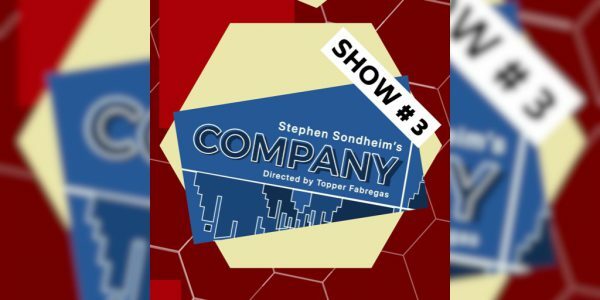 Today, we’re giving away a pair of tickets to COMPANY to one winner (date TBA). 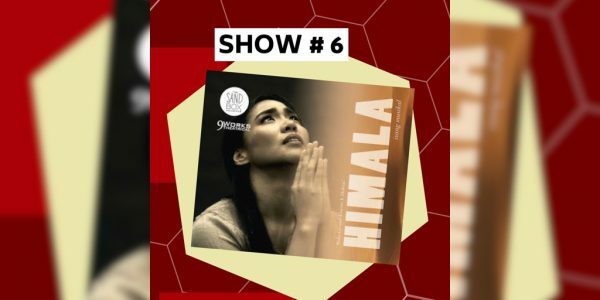 Make sure you’re following @theaterfansmnl on Instagram and that you’ve liked this post. In the comments, tag a friend and tell us why they’re the best company when watching musicals! Make sure your pal is also following us on Instagram and have liked the post. That’s all you need to do! Make sure you send in your comment before 10:00 AM tomorrow. We’ll be contacting the winner via DM as well as updating this post. CONGRATULATIONS: @adslimp (Mabining Mandirigma) and @danielleisafrenchfry (Aurelio Sedisyoso)! These shows are for history buffs! We have one pair of tickets for each show (date TBA) that’s up for grabs. On this post, we want you to share an interesting fact about Philippine history you heard, read about, or learned from school. 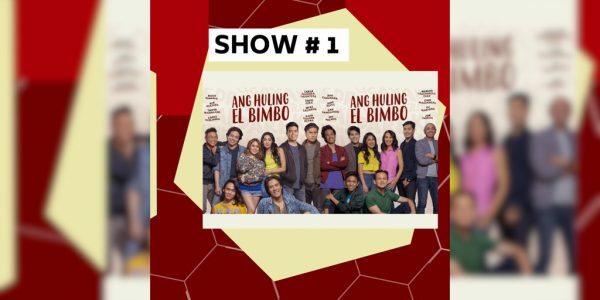 Start your comment by mentioning which show of these two shows you want to see, then share with us your historical fact. Then, tag the friend you want to bring to the show. Make sure you and your friend are following us on Instagram and that you’ve liked this post. Send in your comments before 10:00 am tomorrow! We’ll be contacting the winners via DM to coordinate show dates and other information. We will also update this post once the contest concludes. Make sure you’re following us on Instagram. Like this post and comment about what your passion is (or who 😉), or what passion means to you. Make sure you’ve sent in your comment before 10:00 am tomorrow. We’ll be contacting the winner via DM and update this post once the contest is over. 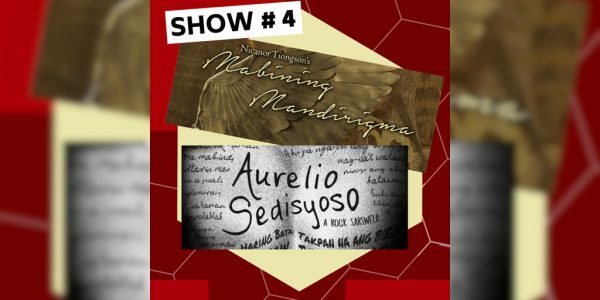 One of last year’s hit musicals is returning and you can win a pair of tickets to the anticipated rerun (date TBA) at Power Mac Center Spotlight. In the comments below the post, tag a friend you want to take to the show and invite them by saying why they will enjoy it. Make sure you and your friend are following us on Instagram, and that you’ve both liked the post! That’s it! Just make sure your comment is in before 10:00 AM tomorrow. We’ll update this post with the winner as well as notify them via DMs. 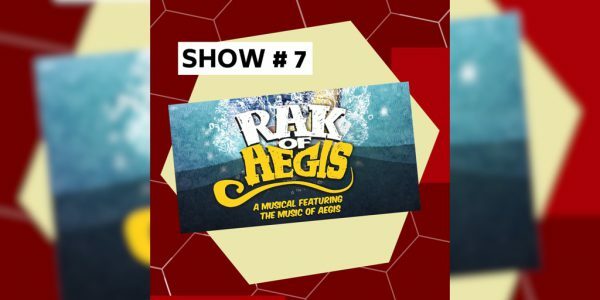 Never seen the hit musical Rak of Aegis? Maybe you’ve seen it once, or twice, or ten times before and just want to see it again. We got you covered! We’re giving away a pair of tickets to one winner for this year’s run! Make sure you’re following us on Instagram and that you’ve liked this post. Post an IG story of you belting out to the iconic chorus of Basang Basa sa Ulan! Make sure you tag us and add #TFM8for8 on your story! In order for us to see the post, your profile will have to be public. Please send in your entry before 10:00 am tomorrow. We’ll notify the winner via DM and update this post, too! 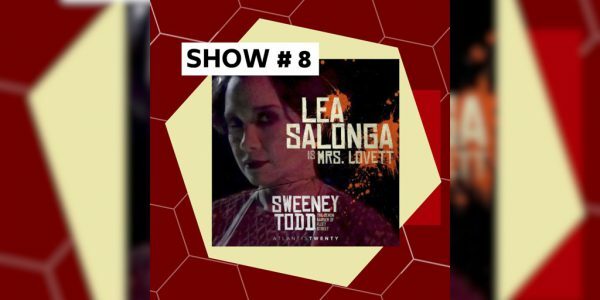 It’s the last day of our anniv giveaway and it’s for one of the most anticipated musicals of the year, SWEENEY TODD from Atlantis Theatrical Entertainment Group starring Lea Salonga and Jett Pangan! Get a chance to win tickets to the premiere night on October 10, 8pm! On your feed, post a series of photos or a collage of you being a true theater fan– they can be pics of you at the theater, showing off a collection of your souvenir programs, ticket stubs, or merch, as long as they show off how much of a theater fan you are. In the caption, share with us how you ended up loving theater and what theater means to you. Make sure your profile is set to public otherwise we won’t be able to see your post! Send in your entries before 10:00 AM tomorrow. We’ll notify the lucky winner via DM as well as update the post. 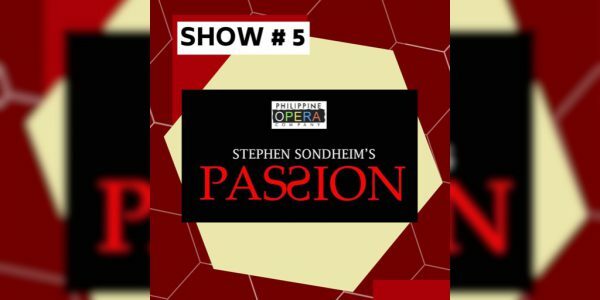 We would like to thank the companies that have helped make this giveaway happen: Full House Theater Company, Atlantis Theatrical Entertainment Group, Upstart Productions, Philippine Opera Company, Tanghalang Pilipino, Philippine Educational Theater Association, and The Sandbox Collective. 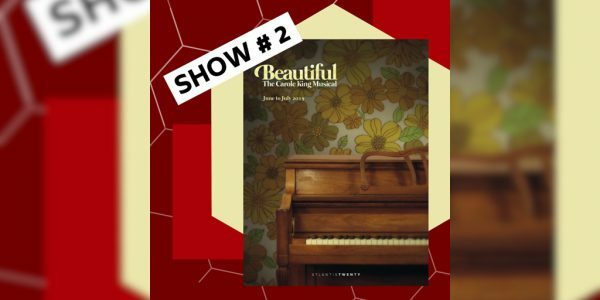 Next "Beautiful: The Carole King Musical" Full Cast Announced!